As an open source company, our team extends beyond our employee base. Whether it's interacting around feature feedback on the forums, incorporating pull requests into our product releases, or swapping stories at meetups, we wouldn't be where we are today without you. Find advice and lend a helping hand. Ask your most burning questions about all things Elastic and share your wisdom with fellow users on our discussion forums. When posting your inquiry, there are a few tips that will help people answer you quickly. Check out our guidelines for posting a question to help you get started. We have users all over the world who are sharing Elastic stories with their local community. 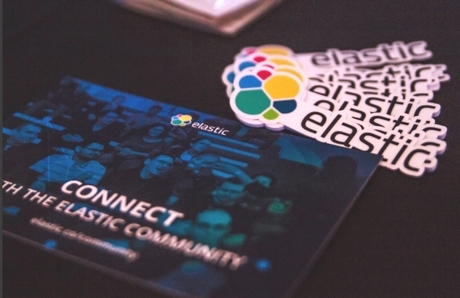 In addition to the language options on our discussion forums, many other online communities have sprung up so you can chat about the Elastic Stack in your native language. Getting started with the Elastic Stack? Looking for detailed deep dives? Get hands-on with the Elastic examples repo and explore curated datasets and step-by-step instructions. Plus, see what's making the rounds in our dev team in our community newsletter and The Elasticast, an Elastic podcast. Open source and open code is who we are. Elasticsearch, Kibana, Beats, and Logstash weren’t just built by us, they were built by the Elastic community. Read more about creating plugins, feature requests, and more. Catch up in-person with your favorite community folks. Ask your toughest Elasticsearch questions, meet local Elastic users, and walk away with some brand new swag. See a list of Elastic meetups and conferences — complete with resources for hosting your own event. Connect with us, 280 characters at a time. Follow us on Twitter @elastic. You can also find us on Facebook, LinkedIn, and YouTube.